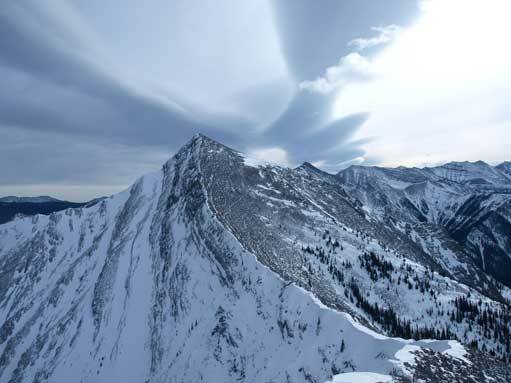 “Midnight Peak” is actually a nickname of an unnamed peak south of Mt. Baldy. 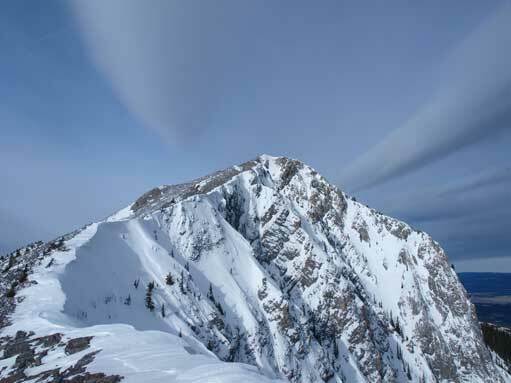 It has a south peak, which is somehow nicknamed as “Midday Peak” by So Nakagawa. 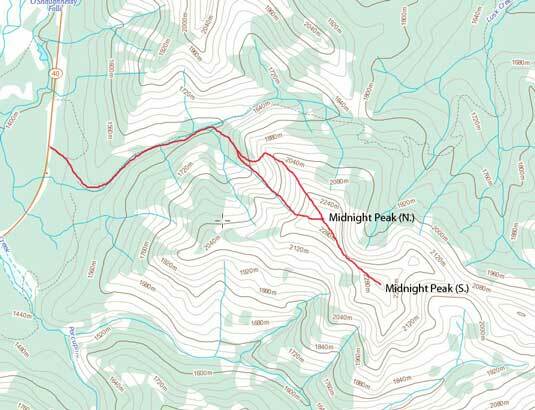 I ascended them both, but I will call the “Midday Peak” as the south peak of Midnight Peak. 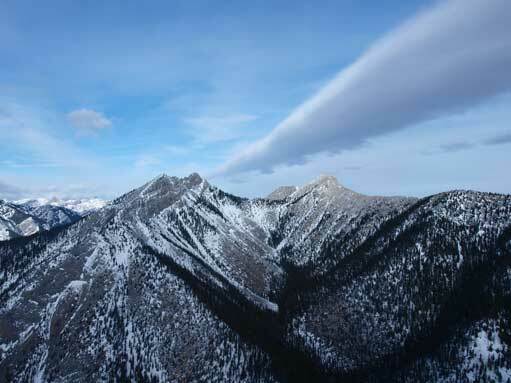 I only claim them as “one summit” though, since there are just simply too many peaks in Kananaskis. If I did the south peak as a separate trip then they’ll be two summits. 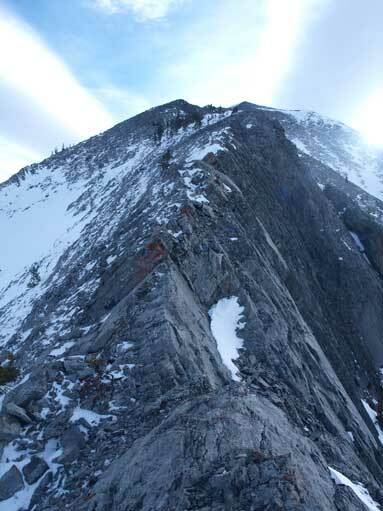 This peak is supposed to be an easy scramble. But somehow due to navigation error, I ended up upgrading it to a difficult scramble. 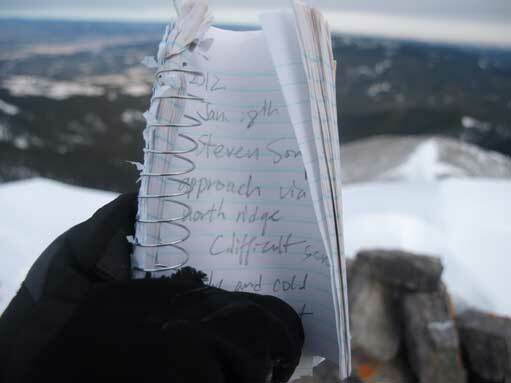 Non of the web authors has done the same route as I did, so I’ll name it as “NNW Ridge Route”. After a cold night car-camping mom and I drove to Baldy Pass trail-head and quickly started the day. We didn’t bring snowshoes as the peaks around us appeared very dry (although that might not be the case in the forest).. 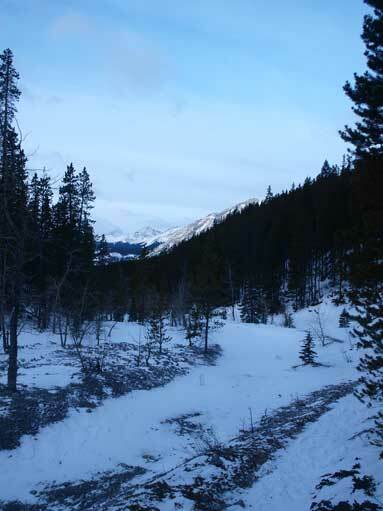 The trail was relatively easy to follow even with snow and we made good in time. The easiest route is by the forested slope and the west ridge but we somehow walked too far in so missed its turn-off. I did not have enough experience to read all the terrain nor did I own a GPS at that time so I made the call of going uphill even though we weren’t 100% sure where we were going. On hindsight had we gone all the way to Baldy Pass there’s another (much) easier route up from that side. 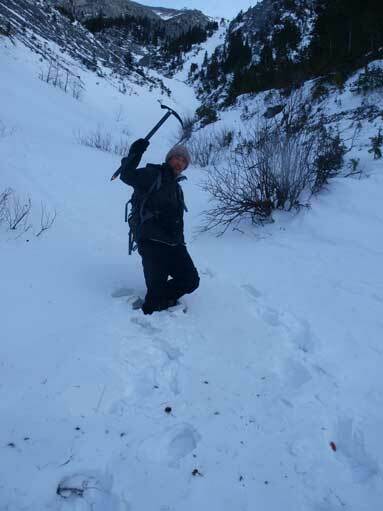 After wading some deep snow we exited the trees on climber’s left side. The terrain started to get scrambly and mom decided to (patiently) wait for me at treeline while I resumed the ascent solo. The approach trail is Baldy Pass Trail. It was fairly dry on this January day. 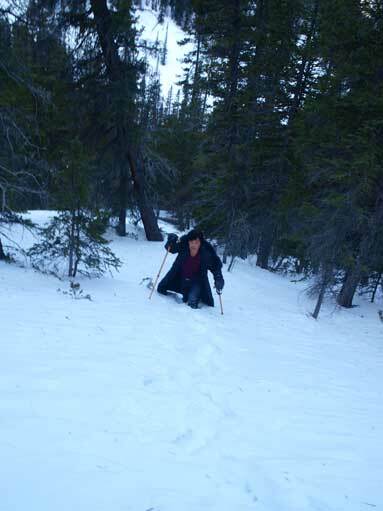 I still suggest bringing snowshoes, otherwise you’ll struggling in the deep treed snow. 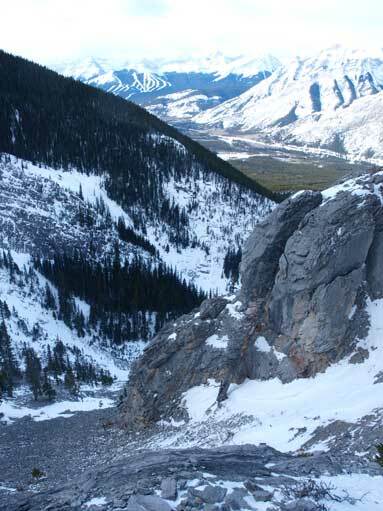 To bypass the imposing buttress in front I bashed my way up a loose talus slope. It was very tedious but even worse, I still couldn’t gain the ridge proper from this side. The terrain appeared increasingly complex as I progressed upwards. 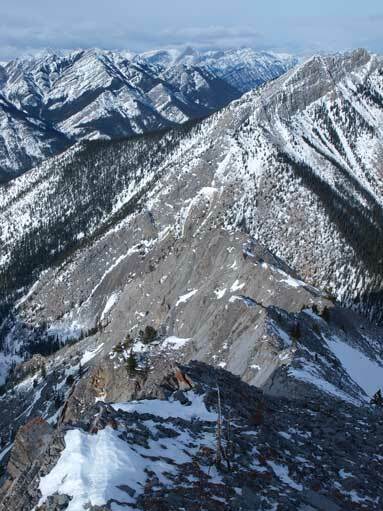 I remember that at one point I had to ascend a slabby section followed by traversing underneath another imposing cliff band. 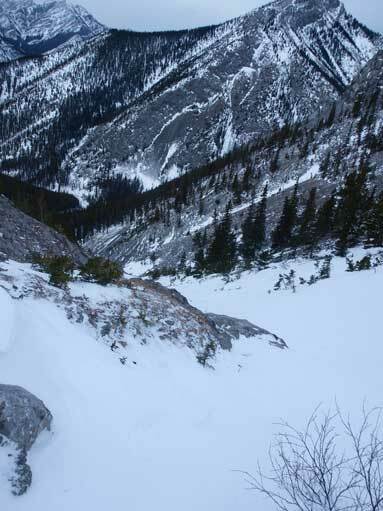 That traverse involved snow covered down-sloping slabs and felt a tad bit sketchy. I pushed on and got over with it nonetheless but I knew I wouldn’t want to go back down the same way. 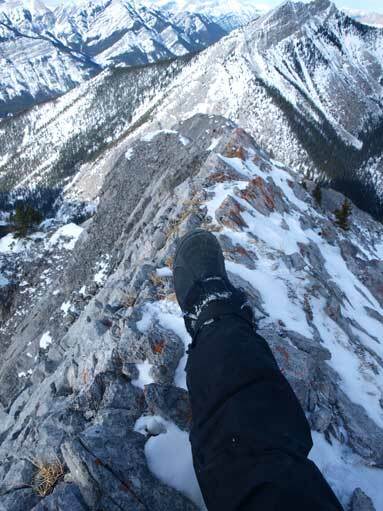 Thankfully the most difficult terrain was behind by the time I finally crested the NNW Ridge proper. The ridge was still exposed but at least no more difficult scrambling required to reach the north summit. 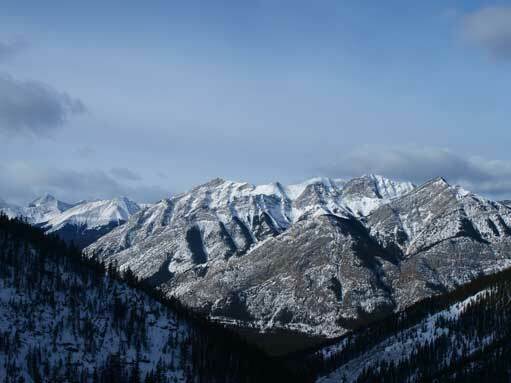 Great views towards the West side of Kananaskis Valley. The traverse from north peak to the south peak was very simple by comparison but took energy. There’s considerable amount of elevation loss to the saddle and since the two peaks have the same elevation, I had to do the same amount of elevation regain. There’s even a register on the south peak which to my great surprise. 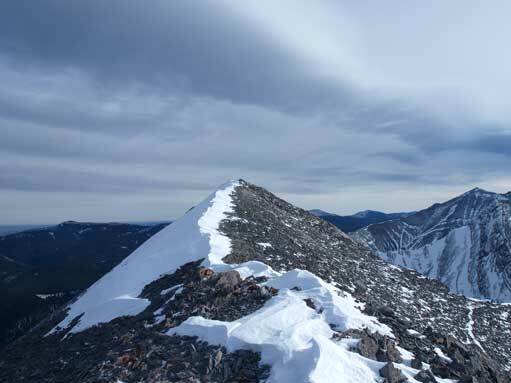 This is the south peak. Going up the south peak. Following the edge is the easiest. 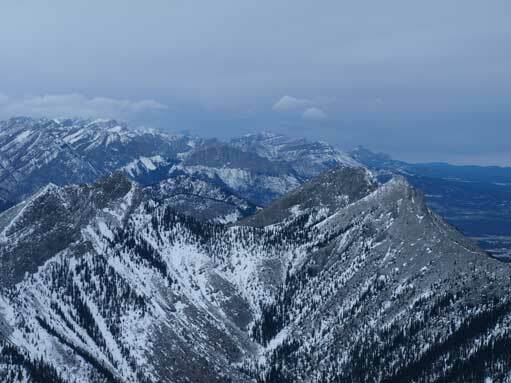 Zooming in towards Baldy, with Yamuska behind. Since mom was waiting for me near the treeline (of my ascent route) I couldn’t take any alternate descent route even though I knew there were more than one (much) easier option. 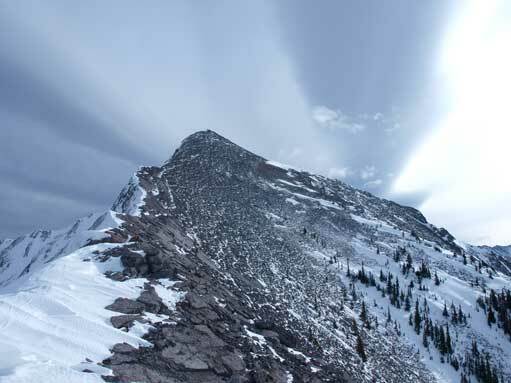 I slogged my way back to the north peak and from there I used the NW face/gully for descending. It’s mainly a huge tedious talus slope. But some snow slopes also offered great glissade. Once near the bottom I traversed back into the forest and rejoined mom and the rest of the hike-out felt long and tiring. Time to have some fun on the snow. 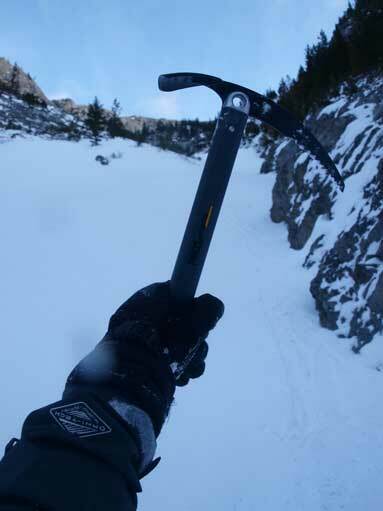 My brand new ice axe… I only used them once before on Grotto Mountain. With all of these, it took me 9 hours in total… We drove to Canmore afterwards, and despite the downgraded weather forecast we still had to do something else the next day.